Just Romantic Suspense: Could you chuck your whole life on a moment's notice? Could you chuck your whole life on a moment's notice? Congratulations to "Brooke", the winner of Rogenna's giveaway. Thank you to all who participated! • Witnesses can choose their new names, but are advised to keep current initials or same first name. • Name changes are done by the court system just like any other name change, but the records are sealed. • Witnesses must not contact former associates or unprotected family members. Or return to the town from which they were relocated. • If the witness has a criminal history, local authorities are made aware of the situation. Only a small percentage of criminal witnesses return to a life of crime. Have you ever felt like chucking your old life for a new one? While this has always been a favorite fantasy of mine, the reality is I’m far too attached to my life for that kind of change. But what if you’d already lost everything and had nothing more to lose? 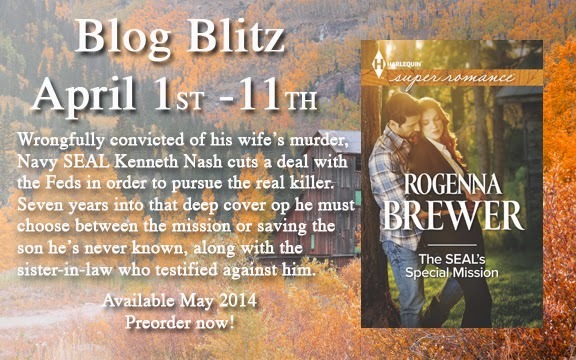 Such is the case for Kenneth Nash in The SEAL’s Special Mission. Wrongfully convicted of his wife’s murder, the Navy SEAL accepts a deal from the Feds that allows him to go deep undercover in search of the real killer. Seven years later, his cover is blown and he must choose between the integrity of his mission or saving the son he’s never known along with the sister-in-law who testified against him. 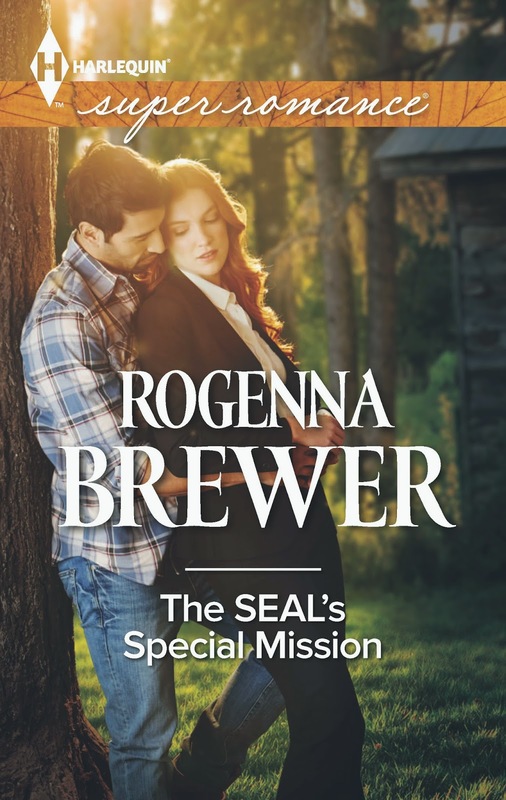 Rogenna will be giving away an autographed copy of The Seal's Special Mission to one lucky person leaving a comment or email entry. Giveaway ends 11:59pm EST April 4th. Please supply your email in the post. You may use spaces or full text for security. (ex. jsmith at gmail dot com) If you do not wish to supply your email, or have trouble posting, please email maureen@JustRomanticSuspense.com with a subject title of JRS GIVEAWAY to be entered in the current giveaway. US postal addresses only. This book sounds great!!! I have to say that I've never had the desire to just up and disappear. I'm entirely too attached to my family and friends. However, IF something I had lost everything....I'd probably be ok with it! It might be nice to start over with a brand new life! This book sounds interesting. I love military men and secret baby stories. And yes, somedays I'd love to up and move away, as long as I can take my husband and sons with me. I think I'd like a cabin in the woods where I could be alone as long as I could come back to my husband and sons when I wanted to. Nash is there to deliver his son, but that's the last time he gets to hold him for years and years. If I was able to be with my family... then I might be able to do it, but on my own... no way. What an intense scene for Mallory. I, too, love a SEAL hero. I look forward to reading this book and finding out the who and why of the wife/sister's murder. I could handle the relocation.... for about a month. Then I would need to get back to my family. Couldn't do it - it would be too hard not to have any contact with loved ones. A couple guys answered in tweets and both said they could for someone they loved. I thought that was interesting. I imagine, even if we could bring our immediate family into the program, it would be hardest for someone with a large extended family. Oh wow! This story sounds fascinating. Definitely one that I would love to read. I think I would be able to if my immediate family came. It's hard to imagine that in today's world full of surveillance, electronics and social media, that people can still stay hidden. So true. Maybe hidden in plain sight? Even Google tried to sign me up for facial recognition so it could tag all my photos across the internet--what!! Why would I want that. We're all probably much stronger than we think. Wow, I don't think I could do it. I love the life I have. The SEAL's special mission sounds intriguing! I don't think I could give up my life and just move on as someone else. This life has too much attached to it with my family. But before I got married and had my kids, I think I could have washed it all away and started over pretty easily. I've been looking forward to reading this story for almost a year now, it will make a great read on the flight home in May! Hmmm . . . that's a good question! I hope never to be put in the situation to actually have to make this decision, because I would NOT want to give up my life, family, friends, etc. as I know it and begin again with a new identity and no friends/family. But I am grateful for the witness protection program and how it provides safety and security for those who need it. The Seal's Special Mission sounds like a great book! You are a new author for me (love how JRS introduces me to new-to-me authors) and I look forward to reading your books. Thank you for the wonderful giveaway opportunity!! Good answer, Kimberly. Three cheers for our US Marshals and the Witness Protection Program.